There are all kinds of owls. There are Snowy Owls, Spotted Owls, Barred Owls, Great Horned Owls and a lot of others. Sometimes you can find them living by rocks and trees. Some owls live in North America. Owls hunt at night. Owls have an excellent sense of sight and hearing which helps them hunt. Owls feed on entirely living animals. The female is bigger than the male owl. Owls are interesting to learn about. The scientific name for the Great Horned Owl is Bubovirginainus. Bubo means horned owl. The Great Horned Owl has tufts that look like horns so they named it the Great Horned Owl. The Great Horned Owl eats small to medium sized birds or mammals. The Great Horned Owl is one of the owls that lives in North America. Their feathers are brown and black. Their feathers cover their legs and talons. Their beak and talons are very sharp. Their eyes are large. The Great Horned Owl will start nesting in December. Great Horned Owls use their own feathers to make the nest. The Great Horned Owl will pluck feathers from their body to keep their eggs warm. The Great Horned Owl is interesting. 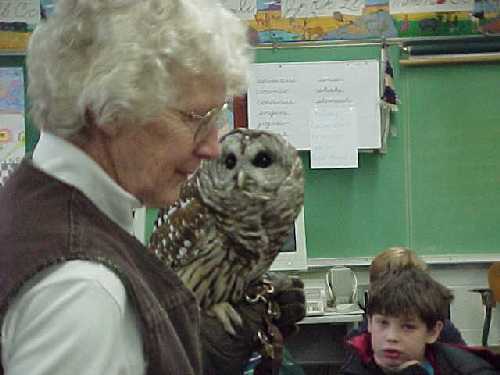 There are many kinds of owls like snowy owls, barred owls, spotted owls and a Great Horned Owl. 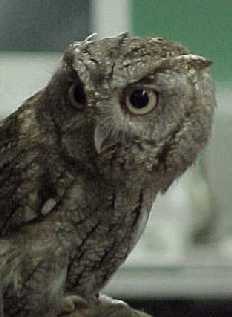 Female owls are larger than the males. The male owl and the female owl both hunt the food. They also have big eyes and they mostly hunt in the night. Owls have good eye vision all the time. Pellets are balls of fur that contains bones that the owl eats and spits out. Also owls lay their eggs in high trees and sometimes caves. Owls are not good pets. People should leave them alone. Is good to leave owls in nature. Owls also eat lots of rodents. Owls have lots of feathers. If they were wet they would look like a stick with eyes. Owls are fast and quite to catch food. Owls are good creatures. The owls can turn their heads 170 degrees. Their sound is a soft sound like,"hoo-hoo-hoo". The owls make their nest with their own feathers for the babies called owls. They live upon rocks, trees and pine trees. The Great Horned Owls feathers are white, black and brown it covers the legs and toes. Their eyes are very large and their wings are very sharp. Their prey are small animals to medium size animals like birds and turkeys and geese. They come out at night. They can see better at night then at day. The Great Horned Owl starts nesting in early December. Theres a Gray Owl, Barred Owl and theres a lot more but I cant name them all. 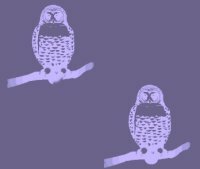 There are a lot of different owls that are different in different ways. The Great Horned Owl lives in North America and the tundra. The Great Horned Owl can get up to 18-25 feet. The nest of the Great Horned Owl is in caves, trees and on the ground. The nesting begins in January or February. When they hunt they perch up on a branch and dive bomb their prey. Their voice is like a screech. The Great Horned Owls young cant fly until 9 to 10 weeks. The Great Horned Owls colors are black, white, brown and gray. The Great Horned Owl eats rodents and birds. Mrs. Bjorklund is a licensed wildlife rehabilitator. She visited our room with her "friends." It was great!